Baulkham Hills, with its breathtaking Bidjigal Reserve is known as a tourist magnet. Because of its wonderful location and access to commercial establishments and lifestyle spots, it has been ranked 4th among local government areas (LGA) in 2008 in terms of quality of life. Pretty sweet place. So if you want to take advantage of Baulkham’s scenic landscape, add a patio or a deck to your house. You won’t regret it. Limited indoor space? Extend your living space by utilising your outdoor area. Think of glass-ceiling sunrooms, classy timber decks, and stunning pergolas. Your family can enjoy the outdoors every single day with these additions. Now, isn’t that a treat? Whatever you have in mind, Urban Exteriors can help you build the perfect outdoor structure for your property. We specialize in outdoor transformations with focus on quality and value for money. To live close to nature and be able to enjoy the outdoors daily is a fantastic feeling. With patios and pergolas from Urban Exteriors, that’s exactly what you get. 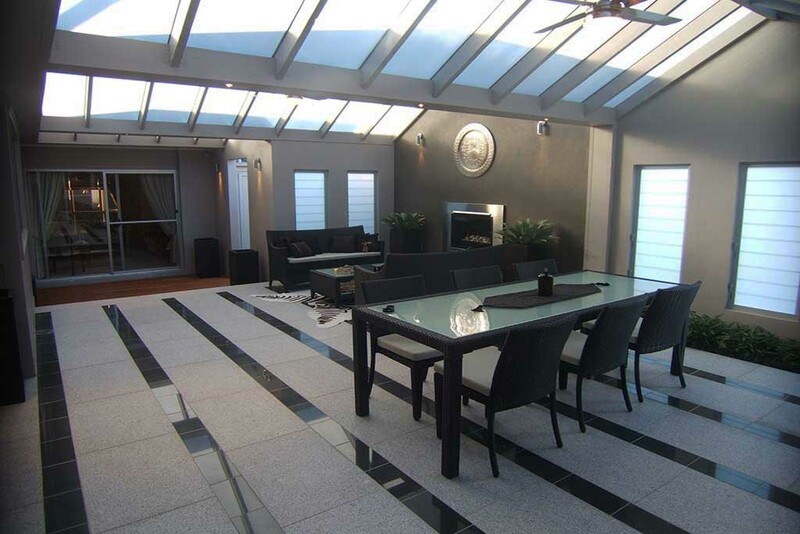 Choose from polycarbonate roofing, Colorbond roofing, and insulated panel roofing. Our design consultants will give you advice if you’re not sure which one fits your needs. Our patios and pergolas are durable so there’s no need to worry even if they are exposed to harsh weather conditions. Thinking of creative ways to extend your house without feeling crammed? Why not add a deck to your house? Open and spacious, decks are ideal spots for your family to do just about anything from dining together to lounging around. At Urban Exteriors, we understand the importance of family so we make sure your family is safe and will be able to enjoy the deck for a long time. We do that by using durable and top quality materials. Whether you want a low-maintenance deck or a deck that has heat and sound insulation, we got you covered. Another way for you and your family to enjoy the beautiful surroundings of Baulkham Hills is by adding a sunroom to your house. With the option to have floor-to-ceiling glass windows, sunrooms provide a terrific view of your environment. Depending on your purpose, your sunrooms can become an extension of your living room or a space solely dedicated to entertaining guests. The hot and cold months can be pretty intense so to help you cool down during summer or keep you warm during the cold months, consider landscaping your home and adding more plants. A house with a beautifully landscaped garden or yard also has higher real estate appraisal. We can help you create the perfect landscape design that will turn heads in your neighborhood. Let’s get started on your outdoor transformation project. Get the best value out of your investment. Talk to us today.